Hi, guys! Welcome! I hope you are prepared and pumped to enjoy our steals and deals we spot at our local Kmart stores! Want a background on why we're up to this? Head over here for a brief explanation! For our first update I'll start with some of my absolute favorites! 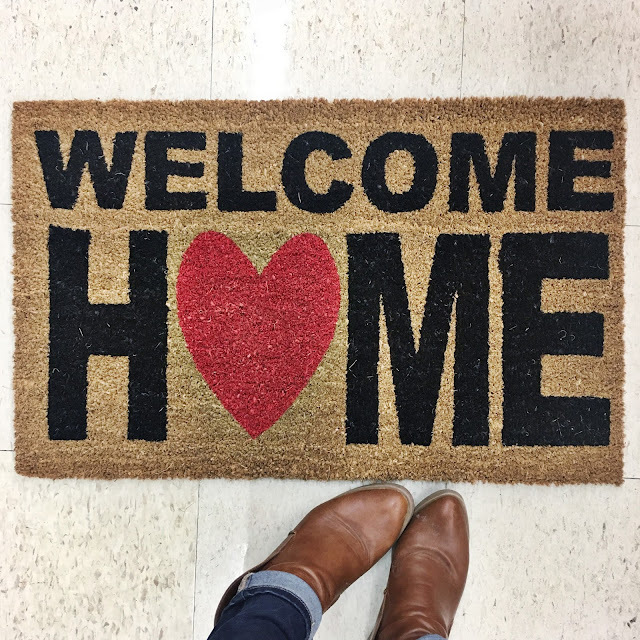 I was completely smitten with this perfectly modern welcome mat for your front stoop. I can't pass up a great block font and heart anything! Priced at under $15 it can't be beat and will be perfect for any season of the year! Adding to the rug theme, I spotted this rug which is a great size [40" x 60"] and at $24 is priced for any budget. I have a similar one in my home's entryway that I bought from a home decor store for much more! 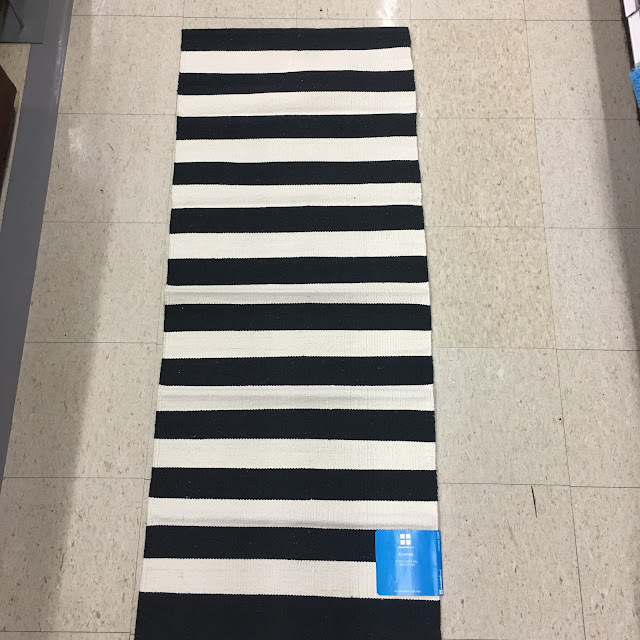 And finally, I purchased two of these black and white stripe runners, hand sewed them together, and got a "custom" size runner for my hallway for less than $60! Thanks a million for checking us out and we hope you give your Kmart a fighting chance! 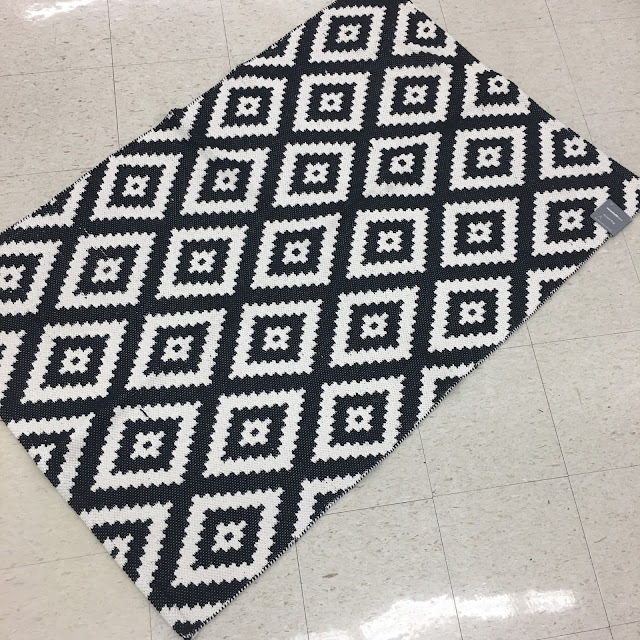 Hashtag your fav Kmart finds with #Kmartdidthat so we can see all the other goodies we might have missed. And, I promise, there is some really great stuff still left to share!